“It’s cold, but I don’t care / because there’s something in the air.” There sure is. 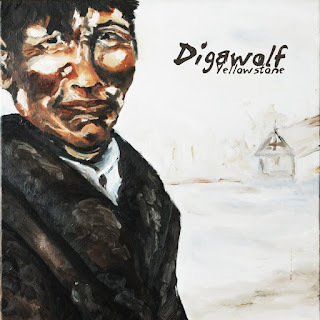 The man who calls himself Digawolf hails from the top tip of Great Slave Lake, 80 km northwest of Yellowknife, from the community of Behchoko, the capital of the Tlicho Nation. It’s not a big place, and Digawolf’s creativity can be found everywhere—because he helped design the street signs. Recorded in an oceanside barn in Denmark, with Greenlandic producer Jan de Vroede, “Yellowstone” sounds massive: this is not a lo-fi production from an artist in a remote community. The drums are crisp and thunderous, the guitars are fuzzed-out and thick, and other sonic layers provide gorgeous colours. Digawolf himself has a gravelly voice that sounds like it could only come from the Canadian Shield, which suits his thoroughly modern and often atmospheric take on the blues, not entirely unlike Tom Wilson’s Lee Harvey Osmond. 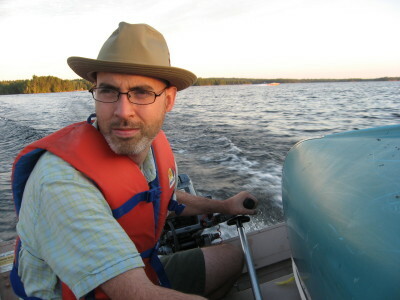 On opening track “By the Water” he hews a bit too close to July Talk’s Pete Dreimanis; it’s almost a bit too imitative—doubly so, because Dreimanis himself draws heavily from Tom Waits—and will no doubt cause confusion when played on the radio (which it should be). The other obvious influence is Daniel Lanois; when he’s not digging into a heavy riff, Digawolf is a textural player, separating him from any straight-up traditional takes on folk or blues. Though he hails from the middle of nowhere, Digawolf has made major inroads in the industry, with wins or nominations from the Junos, Canadian Folk Music Awards, Western Canadian Music Awards, and the Canadian Aboriginal Music Awards. This is the album that should connect him with a much, much bigger audience. Then there’s Tunde Olaniran, from Flint, Michigan, a gospel-tinged R&B singer with a multi-octave range, who’s been toiling in relative obscurity ever since his phenomenal 2015 album Transgressor. Obsessed with science fiction, his synths convey either a dystopian Detroit or a vessel for liberation of norms: gender, colour, sexual orientation, body size, everything. "I took my strange ways of being ... and made a universe," he sings. He’s not wrong. Olaniran never falls into formulas: his songs evolve and mutate, rarely sticking to a solid groove the whole way through—and they’re far stronger because of it. In that sense, at times he also seems to draw from Broadway, in his willingness to bend arrangements to the lyrics and experimentation in form. His approach to electronic textures and arrangements sets him far apart from almost everyone else working in the fertile field of modern R&B. Even when he’s playing it (ahem) straight, like on the uplift of “Miracle”—a song that, in an alternate universe, is a Disney-esque smash hit sung by schoolchildren around the world—he flips back and forth between stripped-down piano ballad and disco club banger, like he can’t decide. And why should he? This man is massively talented, and is overdue for a breakthrough, mainstream or otherwise—this world needs more artists like him. In the meantime, someone should hook him up with Toronto’s Zaki Ibrahim or Bonjay, who come from a similar, synth-driven sci-fi soul scene just down the 401. They could make magic together. Stream: "I'm Here," "Miracle," "Forgiveness"